Somerville used to date-stamp its manhole covers, so that's how Chris Devers could tell how old this catch basin cover on Washington Street near McGrath Highway is. Iron Covers, a Somerville resident who takes photos of such things, adds: Read more. For the most part, Boston's history is best viewed when looking around or up. 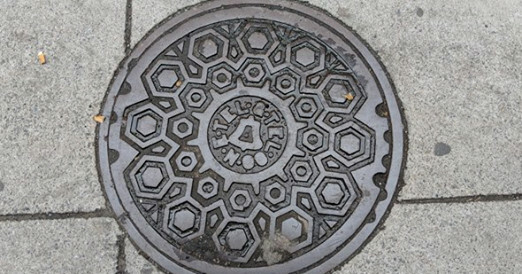 But sometimes, it pays to look down: Places such as downtown, the North End and Chinatown are filled with remnants of our commercial past, in the form of manhole covers. Read more.